Selena Gomez performs her hit song 'Come & Get It' in an all gold gown and matching gold cuffs on each arm at the 2013 Billboard Music Awards. Last nights' Billboard Music awards gave the Twitter and Blogosphere so much to talk about! From Miguel taking two girls out with his leg as he leaped above the audience to Taylor Swift making disapproving faces as Selena Gomez and Justin Bieber connected back stage, there was tons of stuff going on. All of the craziness did not distract me however from the fashion of the evening. The one metal that was definitely a huge trend of the night was GOLD! Take a look. Hayden Panettiere (I heart her) looks elegant as ever in her floor length Halston Heritage halter gown paired with David Yurman Starburst yellow gold and diamond earrings and yellow gold and diamond Crossover Bracelet. She completed her look with a matching gold clutch. Miley was just being Miley as she stepped onto the blue carpet in this beyond amazing Balmain jumpsuit. 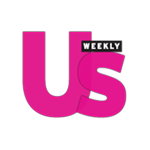 They 'Party in the USA' singer made a big announcement about her new single called 'We Can't Stop' dropping on June 3rd but that is not the only thing that was buzzing about Miley last night. Cyrus wore her gorgeous 3.5-carat cushion-cut diamond ring handcrafted in 18-karat gold from jeweler to the stars Neil Lane even amidst rumors that her and her actor fiance Liam Hemsworth are on the outs. Miley matched her amazing 18K gold Neil Lane engagement ring with a glittery gold manicure which worked perfect for last night's carpet. Another OJ&B fave that rocked the BBMA's with gold Neil Lane jewelry is Selena Gomez. "Selener" as I like to call her, was everything in her Atelier Versace gown from the Spring 2013 collection. The dress looked perfect paired with her yellow gold rings and yellow gold studs from Neil Lane. The songstress had a moment on stage when she performed one of my summer jams 'Come & Get It" in an all gold dress with gold cuffs on each arm. Her back up dancers were also decked out in gold. After the performance Gomez changed into a long black gown that she accessories with yellow gold and diamond earrings from Neil Lane. Selena Gomez works her gold theme of the night during her 'Come & Get It' performance proving that gold is muy caliente right now! Selena continued her gold love fest ending with her final look of the evening accessorised with yellow gold and diamond Neil Lane earrings. Speaking of Selena, her on and off again boo, Justin also sported gold last night. The female fan favorite wore a large yellow gold necklace and matching yellow gold bracelet as he accepted his Billboard Music Award for fan-voted milestone award. He was also seen wearing his yellow gold chain during his two performances and as he accepted awards for top male artist and social artist. Other guys that wore gold last night were Miguel and Bruno Mars. Mars opened up the show with an amazing performance and his band was also decked out in yellow gold accessories. Bruno's stage was decked out in gold colored lights and towards the end of his performance gold confetti exploded into the audience while all of the disco balls reflected gold light. I think it is safe to say that gold had an amazing night last night and that the hottest singers out right now are obsessed with it! 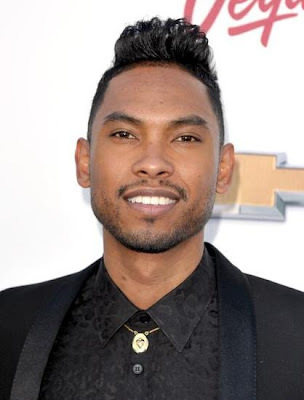 The latest singing sensation Miguel wears a yellow gold necklace with his suite and dress shirt (you know I love this look)! 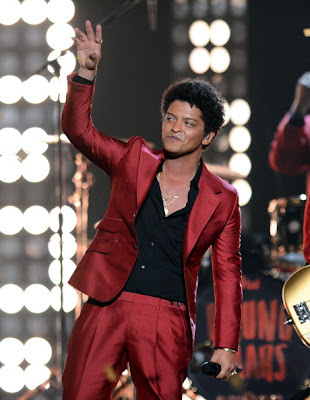 Bruno wears some of his favorite yellow gold accessories to open up last night's show. His band was also gilded in gold as they set the standard for the night! If you are craving more golden celebrity looks, make sure to tune in to the Ultimate Gold Collection Fashion Show curated by Carine Roitfeld at the amfAR gala in Cannes LIVE! on lovegold.com/cannes2013 this Thursday at 3pm New York, 12 noon LA!! It is the perfect way to add opulence to your day and to bring the luxury of Cannes right to your screen!